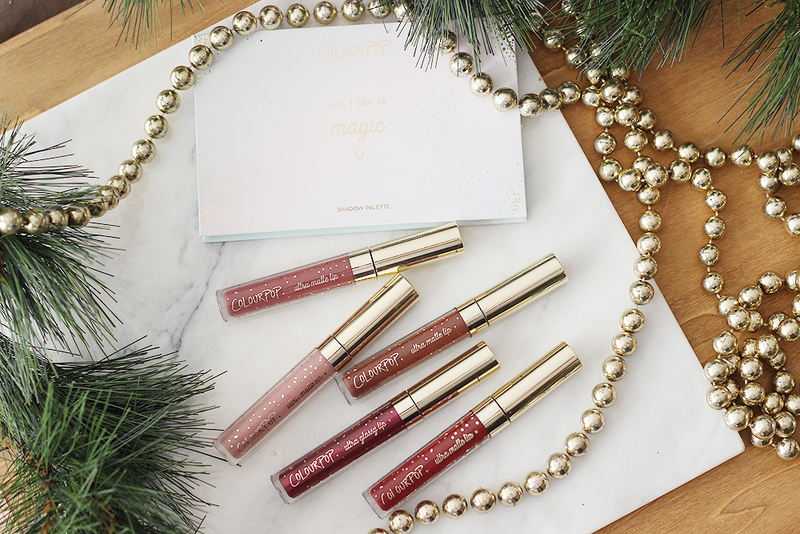 ColourPop is killin' the holiday collection game right now. So hard, in fact, I can't even keep track. I think they're on their like, fourth release? I don't even know. 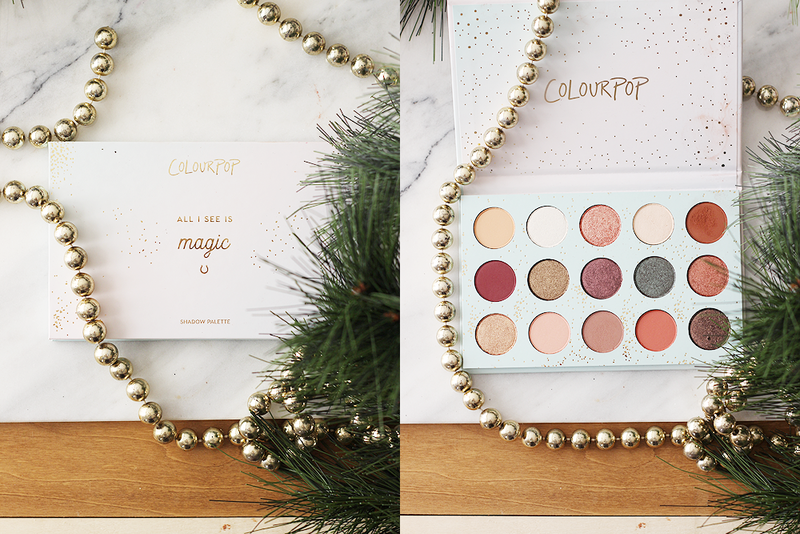 Anywho, this is a review/try-on/swatches/look/all that good stuff from the first holiday launch with the ColourPop All I See Is Magic Palette and five of the liquid lipsticks! 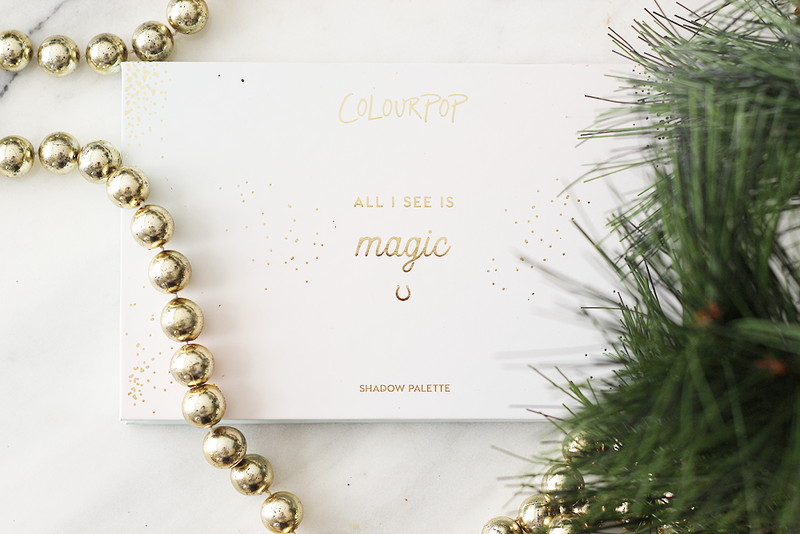 The ColourPop All I See Is Magic Palette ($20) is basically everything I've ever wanted in a holiday eyeshadow palette. 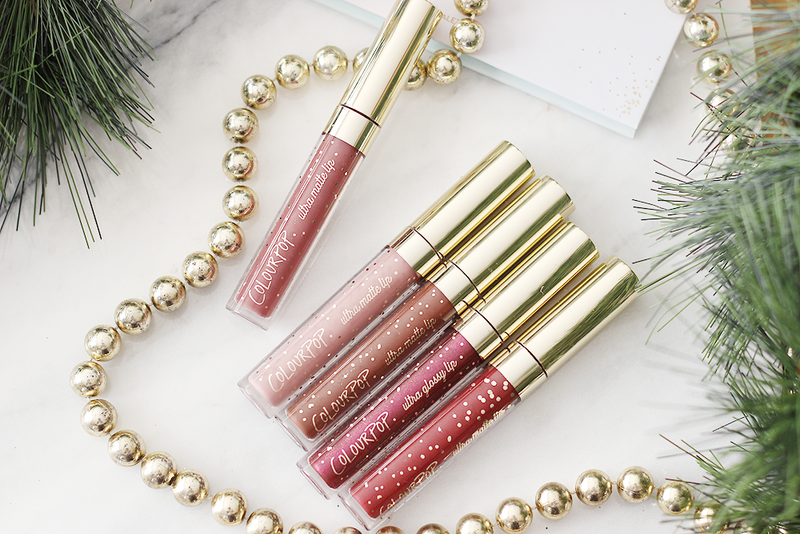 With mattes, satins and metallics in delicious jewel tones, you're ready to sparkle wherever you go. Go Wish - a matte pastel peach. 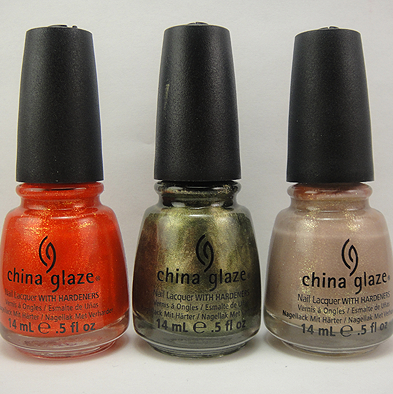 Now and Zen - a metallic pale yellow gold. 11:11 - a metallic rose gold with silver glitter. Treat Yourself - a satin true ivory. Top Notch - a matte terracotta brown. Tinsel Town - a matte cranberry. Twinkle Toes - a metallic black gold. Something Special - a metallic deep maroon with purple glitter. Wishful Winking - a metallic warm brown with an intense teal duochrome flip. Pitter Patter - a metallic rosy copper with gold flecks. Save It For Later - a metallic copper. Big Spoon - a matte pastel coral. T-Cup - a matte warm dusty taupe. Imperial - a matte soft red orange. Never Never - a metallic dark chocolate with multi-dimensional glitter. 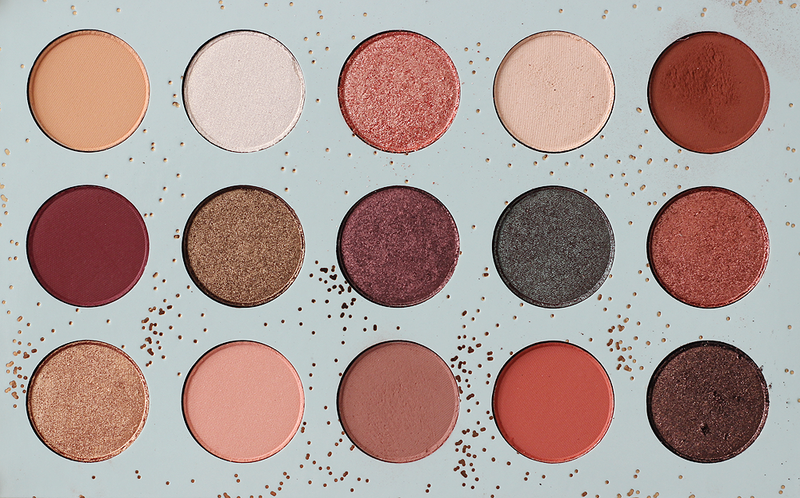 This palette gives me holiday party vibes! It has a great mix of matte and sparkle to really pull out the stops with any look. 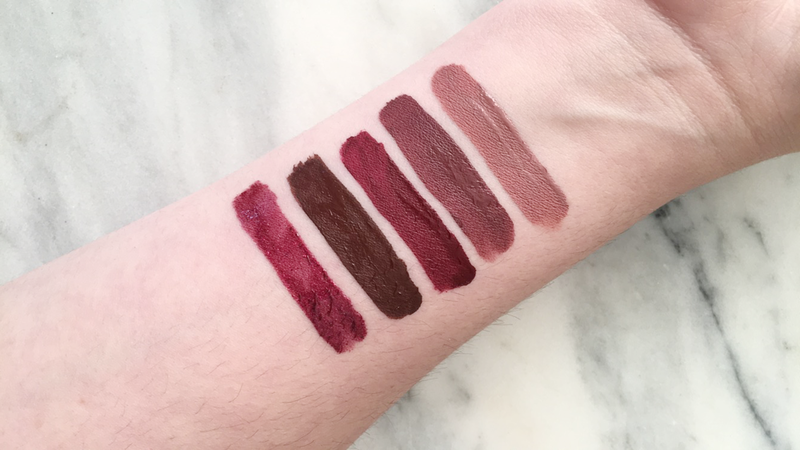 The mattes (Go Wish, Top Notch, Tinsel Town, Big Spoon, T-Cup, Imperial) are a dream to work with. 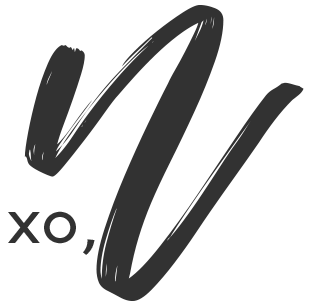 Each on is soft, blendable and pigmented. I really haven't met a matte from ColourPop that I haven't liked. Moving on to the metallics (Now and Zen, 11:11, Twinkle Toes, Something Special, Wishful Thinking, Pitter Patter, Save It For Later, Never Never), almost all of them played nice except for Wishful Thinking. I had a tough time even getting this on stuck onto my lid. I primed, I patted, I applied with a brush - nothing seemed to work. After a few times, I found that the best way to apply it is wet. This cuts down on the fall out (which there is a lot of when dry) and amps up the pigmentation. Treat Yourself is the only satin of the palette and is beautiful, pigmented and blends nicely. 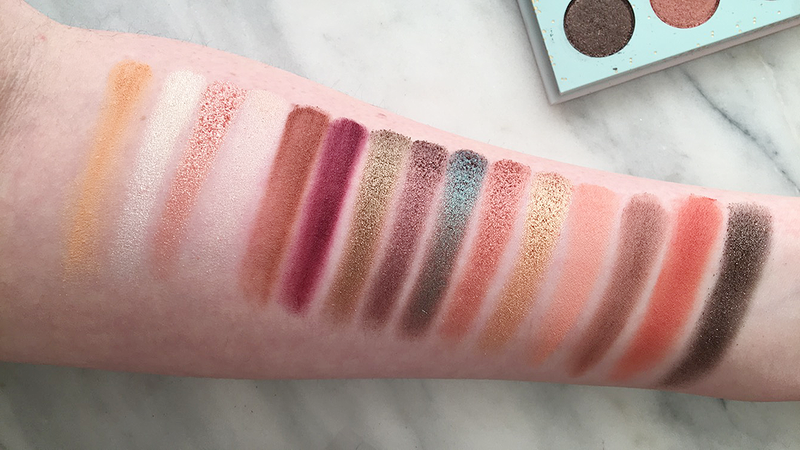 My favorite shades from this palette are: Now and Zen, Twinkle Toes, Save It For Later, Big Spoon and Imperial. Fragile Things - a dusty plum brown matte. Lil Pump - a matte dusty pale mauve. Cloudscape - a muted chocolate matte. Believe Me - a glossy rich sangria with violet glitter. Arabesque - a matte deep brown berry. 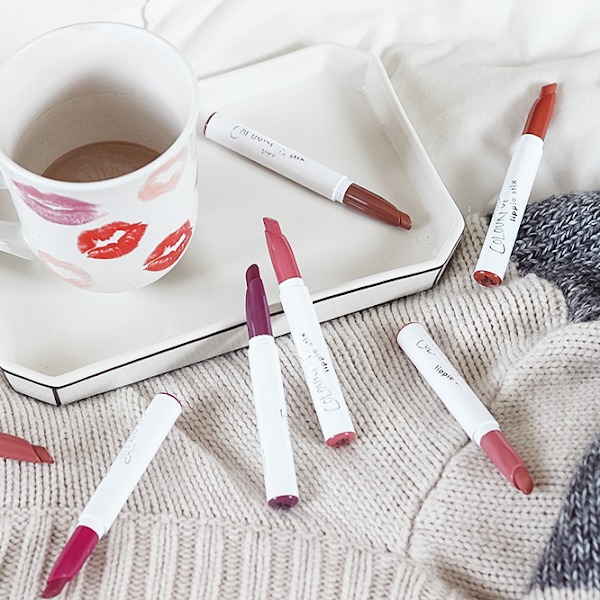 Rumor has it that ColourPop changed their ultra matte formula. Okay. Actually, it's not a rumor. It's been verified by them. But I had to see it (or wear it) to believe it. The first ultra matte from this collection that I tried on was Lil Pump. Wowee-zowee, y'all. Lil Pump is so light on the lips. 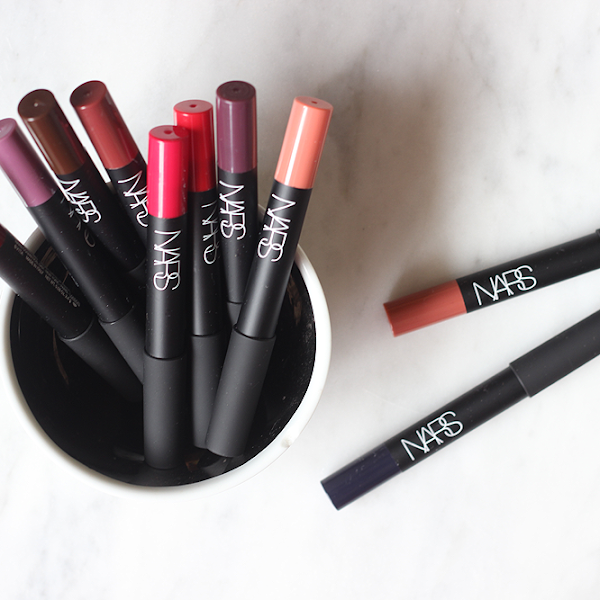 One swipe is all I needed to fully cover my lips. It dried down within a few minutes. Once it was dry, it never felt drying nor did it crack. Honestly, it felt like velvet on my lips. I was so, so impressed with this one! Next was Fragile Things. Again, right off the bat, I noticed a significant difference in application and the feel of it once it was dry. That soft, comfy velvet feeling. Next, was Arabesque and Cloudscape. Unfortunately, not the same as the lighter ones. Both have that nice light feel when applied but were SO patchy with the first application. I was, however, able to go back and reapply to even everything out. 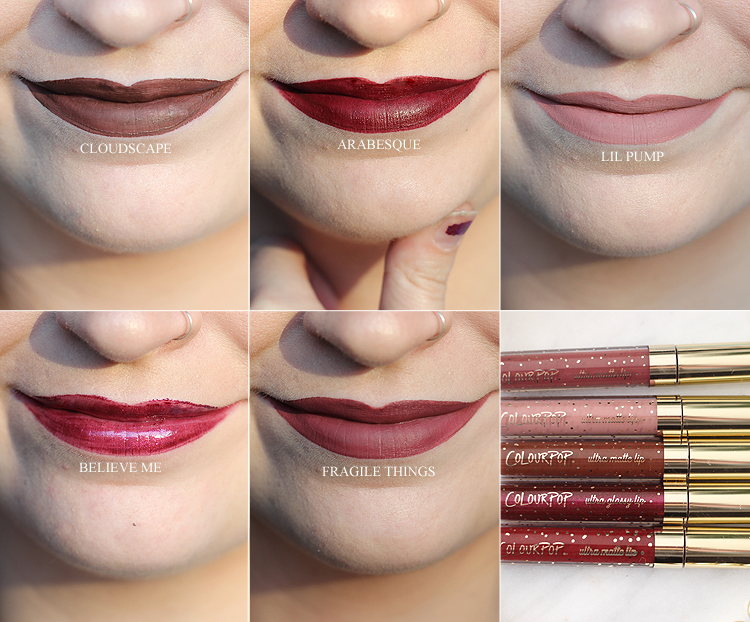 Lastly, Believe Me is a gorgeous, pretty pigmented gloss! I can feel the glitter in it when I rub my lips together but it's not super noticeable. My favorites are: Lil Pump, Fragile Things and Believe me over Arabesque.